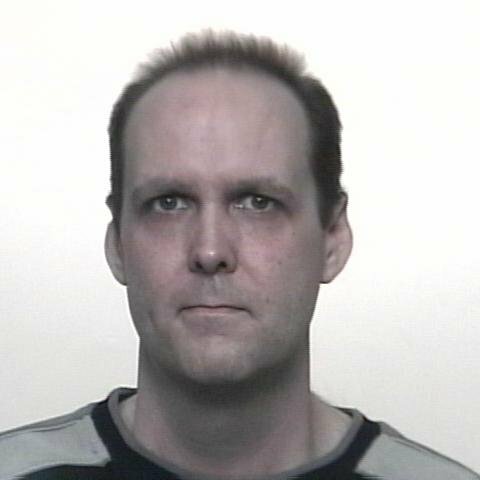 While many facts remain yet to be proven or tested, it’s pretty clear something appears to have gone horribly wrong with Christopher Mackenzie Campbell. Campbell, at age 42, currently stands accused in Winnipeg’s latest homicide — believed to be that of a relative, possibly his mother — in a home on Alexander Avenue this weekend. It was a rare situation in which police believe Campbell left the city in a family vehicle which is linked to the victim, one located just outside of Regina on Sunday. Campbell made his way into that city and was taken into custody downtown. He was to be returned to Winnipeg forthwith. Court records show a charge of second-degree murder is pending. The victim’s identity, including her age, has not been released. “Campbell has been treated for a mental illness in the past. Information has been received that he has not been taking his medications as required. I fear Campbell’s case may end up being another of those sad ones which seem to crop up each and every year. Those ones where justice system efforts to assist and supervise ultimately clash, fizzle or peter out due to the poor state of urgent mental-health related resources in Manitoba, a pressing topic I only recently wrote about. An incident in summer 2008 ultimately seemed to force Campbell’s hand to seek out help for his issues. His lawyer at the time called his arrest at that time “a blessing in disguise” as Campbell may not have been diagnosed or sought help if it hadn’t happened. It was on July 6, 2008 that Campbell approached a total stranger — a landscaper from Shelmerdine garden centre — outside Campbell’s apartment block at 400 Assiniboine Avenue. He walked up to the gardener and asked him not to use any “power equipment” on the lot — a request to which the victim says he must use a power blower to do his job. “If you use any power equipment, I’m going to get a sniper rifle and shoot you in the head,” Campbell replied. He also tossed the glass of water he was holding at the landscaper. The bizarre threat was overheard by an independent witness. Police are called, they arrive quickly. Campbell declines to speak with a lawyer while in their custody. He pleads guilty to a count of uttering threats. An assault charge is stayed. The Crown agrees to recommend a conditional discharge after learning Campbell — a father to two teenagers — took it upon himself to seek out mental-health help following his arrest. At the time of his February 2009 sentencing, court was told he was under the care of a psychiatrist and occupational therapist at the HSC’s PsychHealth centre, having checked himself in there for a time. He was diagnosed with what was described as “mild” schizophrenia. “It turns out that his mother also has schizophrenia … so perhaps it’s hereditary,” Judge Marvin Garfinkel is told. The former co-owner of the long-then-defunct Rogue’s Gallery on Assiniboine [less than a block from his home at the time] was due to have a first outpatient appointment at PsychHealth five days after his court date. He was to see the psychiatrist and therapist bi-weekly. Garfinkel ordered Campbell to serve a year of probation, with a central condition being for him to to comply with the treatment as directed by his doctor. That could include to take medication as directed, Garfinkel said. Campbell readily agreed to follow the program and conditions the probation order set out for him. “I’m here today of my own freewill, under your mercy,” Campbell told Garfinkel in a clear, unconfused voice. There are no breaches of the probation order recorded in the provincial court system — and Campbell had no apparent prior or proceeding record of involvement with the law. From uttering threats to an allegation of murder. It’s absolutely tragic for everyone involved. While our police have said little about their homicide case — which at first glance seems just a hair’s breadth from a domestic violence killing — They did make it clear Campbell appeared to be off his meds at the time. It’s too early to make any observations of whether gaps between the justice and mental-health systems are in any way to be faulted or was a factor in the killing. But the fact is, from early appearances of the case, Campbell was known to be a risk — and at risk — when not on his meds. His probation was only one year long, so who knows how long he may have been off of them, or off of the radar of the system entirely. Those answers may come in due course as Campbell’s latest interaction with the system plays out. He’s naturally presumed innocent of the charge he’s facing. But after years of seeing eerily similar cases, my mind can’t help but wonder: Was this tragedy in any way preventable? Was there something we as a society could have done to ensure it never happened? Is under-resourced mental health care and supervision again the grey elephant in a gloomy room? Something tells me that short term probation orders for people with documented mental health issues that come before the Courts for violent offences might not be enough. It might be that some form of long term mental health protocol designed to monitor such people is what’s required to address the safety concerns these people present. That way, these kind of tragedies might be prevented. “When – oh when – will we start to administer badly-needed psychiatric meds in a slow-release “patch” or injectable format? This comes up over and over again: sick people take their meds until they are ‘normal’ again, at which point they stop doing so because ‘there’s nothing wrong with them’…and the cycle repeats. Only at some point, inevitably, in the cycle someone dies. The inquest into the death of Ahmad Saleh-Azad (released Oct 5, 2011) includes recommendation that the Province undertake a review of the Mental Health Act. This case seems to highlight the urgency of acting on that recommendation. There is definitely something very wrong with the Mental Health Act in relation to the law. I completely agree that short term probationary periods are not the answer… if you have proven to be a risk at one point or another, then the courts should mandate something long term. That is where the problem lies for many psychiatric patients… The choice is theirs. I’m not saying to take away their rights to choose. But if you have already demonstrated that you are unable to cope in society, and have proven to be a threat… then there definitely needs to be some intervention from the courts. “He needs to be an ACTIVE threat to himself or others”, otherwise the choice is his. How many more people need to die? Something needs to change. There needs to be some accountability for his actions. Had he been medicated… I definitely believe this could have been prevented. Intense psychiatric rehab and therapy is absolutely necessary, but once they are on the road to recovery and stabilized on medications, there should still be some accountability. They should still be sentenced as anyone else and pay the price for the crime they have committed. None of this “reintegration into society” until the accused has paid their debt to society.